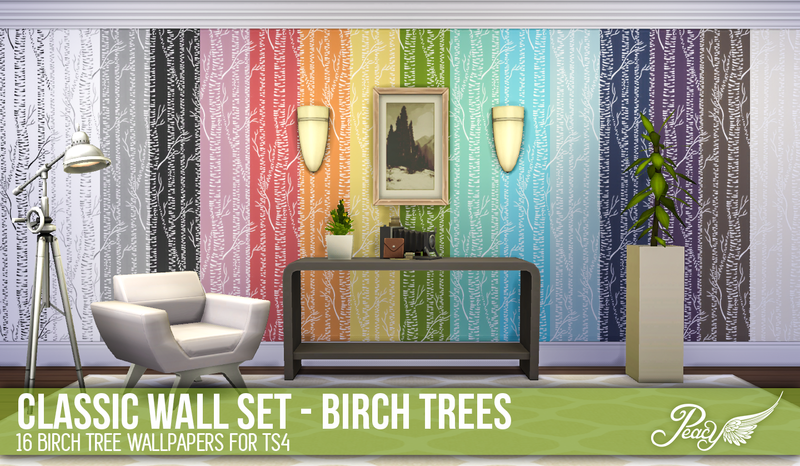 Here are some more contemporary walls for you all! I love birch trees and thought this would be an awesome addition to my game. I can see them going really well with the modern rug in the bright colours too (that was completely by accident). It is a simplified design that adds some visual interest and a pop of colour or more muted depending on your choice. I totally love your wallpapers.